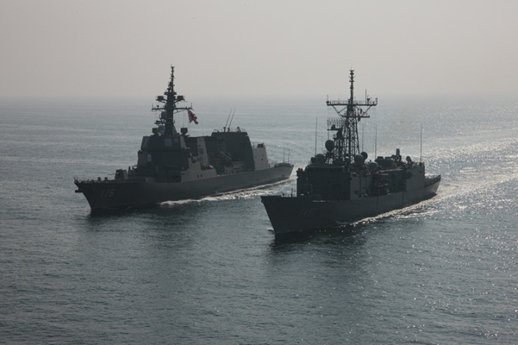 During a series of mutual cross-deck visits, staff members from Combined Task Force (CTF) 151 had a good opportunity to meet with their counterparts from Japan and CTF 465, the European Union Naval Task Force, in the Gulf of Aden. Rear Admiral Bay visited the Commander of the Japanese Counter Piracy Division Captain Futoshi Toyozumi onboard his Flagship JS Akizuki. 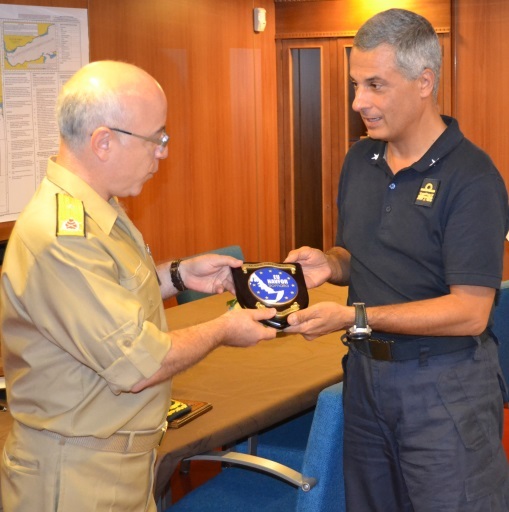 He then visited Italian Rear Admiral Stefano Barbieri, Commander CTF 465 on his Flagship ITS Carabiniere. 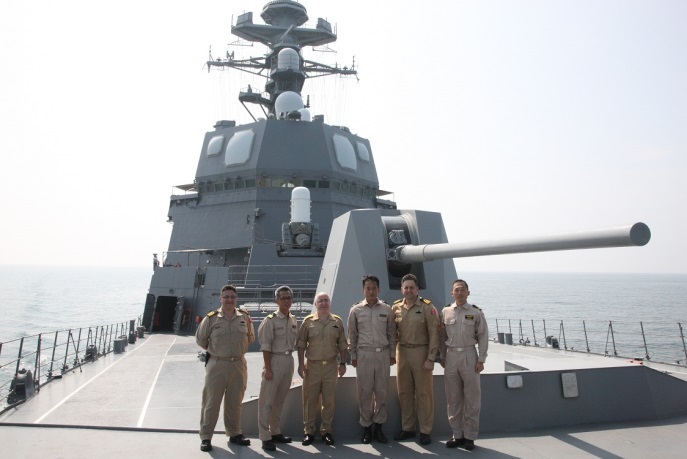 In return TCG Gemlik hosted her distinguished Japanese, Italian and Spanish guests. The Turkish-led CTF 151 will continue to conduct counter piracy patrols in the area of operation under command of CMF which is a multinational naval partnership of 30 nations. CMF exists to promote security, stability and prosperity across approximately 2.5 million square miles of international waters, which encompass some of the world’s most important shipping lanes.